Windows 8 was released as a preview and to MSDN subscribers yesterday. The RTM build has shown us alot of things about the OS but it has also shown us things that are coming to Windows Phone. 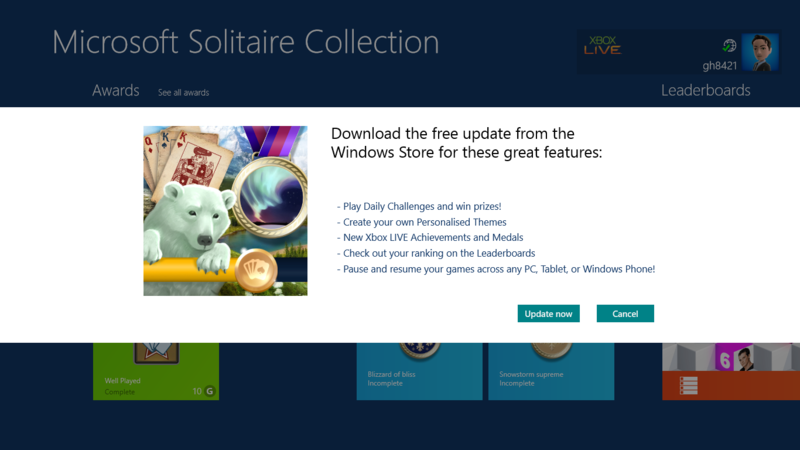 Classic Windows games like Minesweeper, Solitaire and Mahjong are no longer pre-installed into the OS. 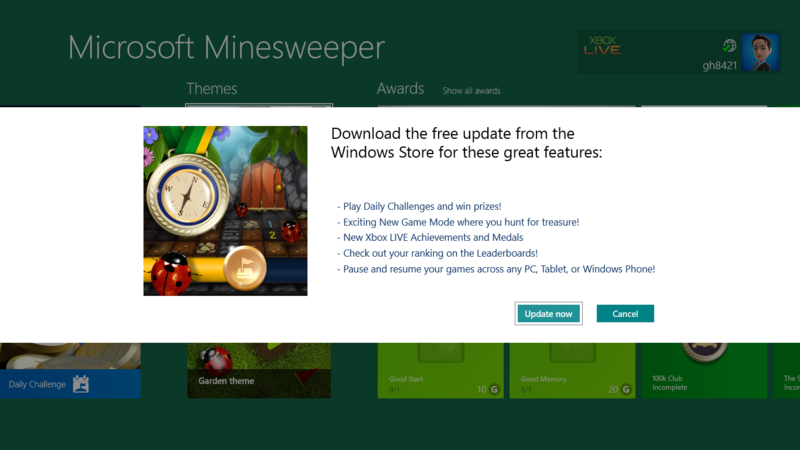 However they are free to download at the Windows Store and they come packed with Achievements as Xbox Live games. Which means that not only are the games coming to Windows Phone but you will be able to start on your PC, Tablet or Windows Phone and resume on the other (Synchronous). We only know of another title that promises to do the same and thats Sonic the Hedgehog 4 Episode II. Can’t wait for Windows 8 and Windows Phone 8 goodness! Written by: Hyde13 on August 16, 2012.